Le con d'Irène was originally published under the nom de plume Albert de Routisie. (fre)Le con d'Irène was originally published under the nom de plume Albert de Routisie. Louis Aragon is currently considered a "single author." If one or more works are by a distinct, homonymous authors, go ahead and split the author. 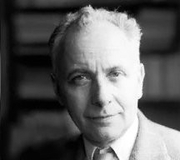 Louis Aragon is composed of 11 names. You can examine and separate out names.